To Dog With Love: Happy Birthday Cosmo! Cosmo says, "It's my birthday, I'll eat cake if I want to!" 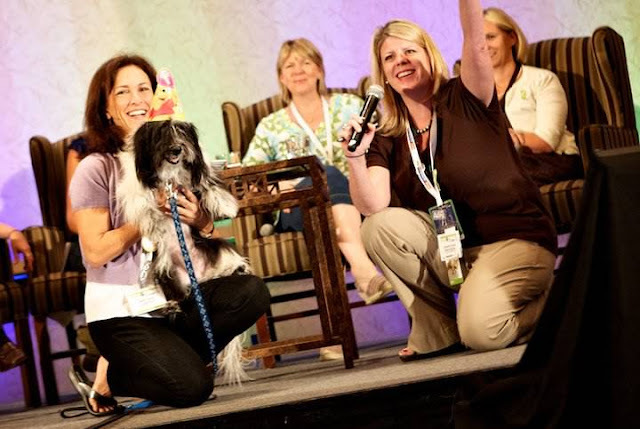 One year ago today, Cosmo celebrated his birthday with cake and gifts at BlogPaws! It was a day to remember. 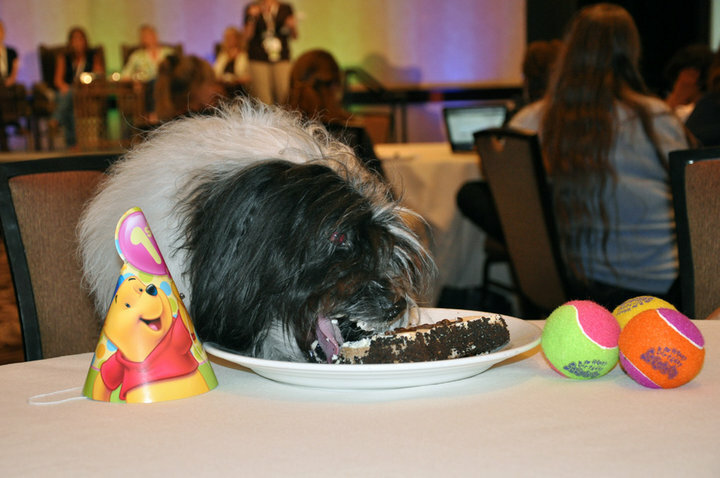 Cosmo says to leave birthday wishes -- or slices of cake -- here or on his official Facebook page or at @CosmoHavanese on Twitter. He'll be sure the fetch them all! Then, head on over to the Saturday Pet Blogger Hop! Wow, that cake looks nommy! Have a great birthday pal! Happy Birthday to Cosmo from the Gang of Four! I had to chuckle at the slight red cast the flash gave to his eyes in the cake photo... "GRRRRRR! CAKE!" Oh Dog! Happy birthday! And I don't have any cake, but if you get any extras, I'd be glad to help you finish it off. Happy Birthday Cosmo, my big buddy!! Oh how sweet! I love the cake and Cosmo's look of carnivorous delight. Happy Birthday Cosmo. Don't forget to have Mom spoil you! Happy Birthday Cosmo. I hope this year is your best ever! Thanks pals for all the wonderfur birthday wishes. I had a furbulous day with gifts and fun at an agility trial and I even got a Q in Agility and a nice ribbon to go with my treats and toys! Maybe next year I can celebrate with all my bloggie and twitter pals again. 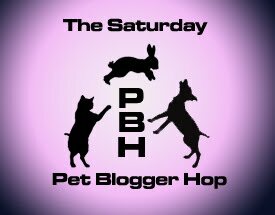 Will someone please have a pawty! BOL! Happy BarkyDay Wishes to you Cosmo! It sounds like you had a great day! Congrats on your "Q"!